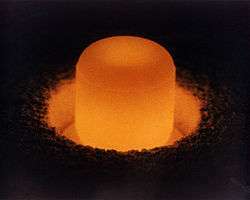 Plutonium (Pu) is an artificial element, except for trace quantities resulting from neutron capture by uranium, and thus a standard atomic mass cannot be given. Like all artificial elements, it has no stable isotopes. It was synthesized long before being found in nature, the first isotope synthesized being 238Pu in 1940. Twenty plutonium radioisotopes have been characterized. The most stable are Pu-244, with a half-life of 80.8 million years, Pu-242, with a half-life of 373,300 years, and Pu-239, with a half-life of 24,110 years. All of the remaining radioactive isotopes have half-lives that are less than 7,000 years. This element also has eight meta states, though none is very stable; all meta states have half-lives of less than one second. Transmutation ﬂow between 238Pu and 244Cm in LWR. 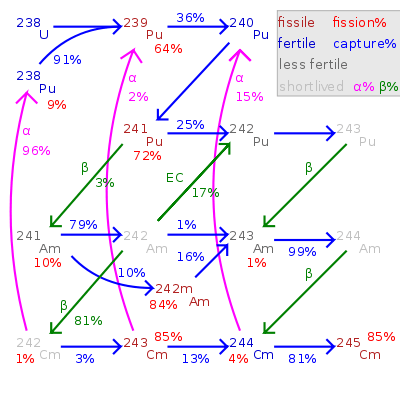 Pu-242 has a particularly low cross section for thermal neutron capture; and it takes four neutron absorptions to become another fissile isotope (either curium-245 or Pu-241) and fission. Even then, there is a chance either of those two fissile isotopes will fail to fission but instead absorb the fourth neutron, becoming curium-246 (on the way to even heavier actinides like californium, which is a neutron emitter by spontaneous fission and difficult to handle) or becoming Pu-242 again; so the mean number of neutrons absorbed before fission is even higher than 4. Therefore Pu-242 is particularly unsuited to recycling in a thermal reactor and would be better used in a fast reactor where it can be fissioned directly. However, Pu-242's low cross section means that relatively little of it will be transmuted during one cycle in a thermal reactor. Pu-242's half-life is about 15 times as long as Pu-239's half-life; therefore it is 1/15 as radioactive and not one of the larger contributors to nuclear waste radioactivity. 242Pu's gamma ray emissions are also weaker than those of the other isotopes. Pu-240 undergoes spontaneous fission as a secondary decay mode at a small but significant rate. 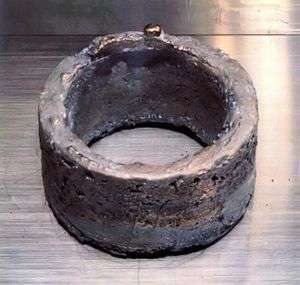 The presence of Pu-240 limits the plutonium's use in a nuclear bomb, because the neutron flux from spontaneous fission initiates the chain reaction prematurely, causing an early release of energy that physically disperses the core before full implosion is reached. This prevemts most of the core from participation in the chain reaction and reduces the bomb's power. ↑ Makhijani, Arjun; Seth, Anita (July 1997). "The Use of Weapons Plutonium as Reactor Fuel" (PDF). Energy and Security. Takoma Park, MD: Institute for Energy and Environmental Research. Retrieved 4 July 2016. ↑ "Plutonium Isotopic Results of Known Samples Using the Snap Gamma Spectroscopy Analysis Code and the Robwin Spectrum Fitting Routine" (PDF).